We are done with the Xiaomi Mi Mix 2S and the Huawei P20 (and P20 Pro) as the phones launched yesterday. The next much-awaited flagship smartphone is going to be the OnePlus 6, and recently, we got some benchmarks of the device. One thing that is undoubtedly confirmed is the fact that the Snapdragon 845 processor will power the phone. Last year, the OnePlus 5 launched in June but since there are already a lot of phones with the Snapdragon 845 right now, we can hope that OnePlus will be launching the OnePlus 6 sooner than expected. Today, Evan Blass posted a real-life image of the OnePlus 6 on Twitter which shows the phone from the rear. If you remember, last month, the prototype of the device showed up in a couple of hands-on shots which revealed the design from both the front as well as the rear. 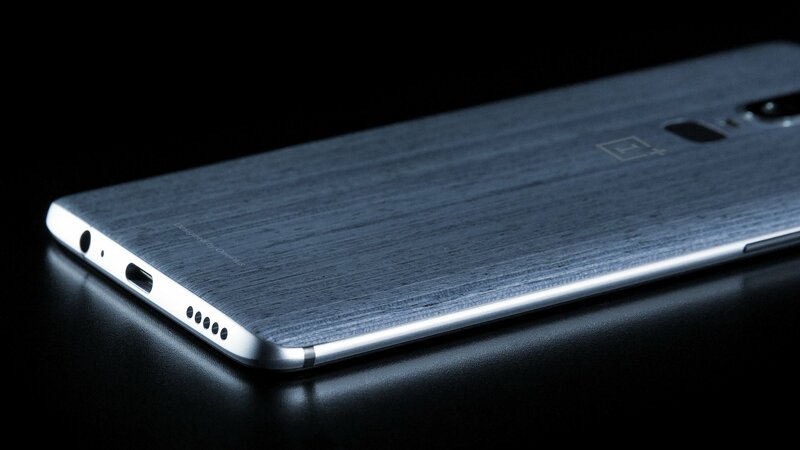 At the time of that leak, it was assumed that it is simply one of the designs that the company has chosen for the OnePlus 6. But, with today’s leak, the final design has been confirmed, at least from the rear. There is a dual camera setup, but unlike the OnePlus 5, the OnePlus 6 has a vertical dual camera setup that is placed in the center (not in the left). This means that it is not among all those phones that are launching these days with iPhone X-like camera setup on the rear. Sweet, right? The LED Flash is placed below the camera module and below that is the fingerprint scanner, which has the same design as the one on Galaxy S9 and S9+. One thing that you will notice in the image above is that textured back. At first, it might look like a skin applied on top of the rear panel but that ‘Designed by OnePlus’ text on the bottom side tells another story. Is OnePlus going to start a ‘Moto Maker’ like service? Well, who knows! The 3.5mm headphone jack isn’t going anywhere which is another good thing. The USB Type-C Port is also there on the bottom, along with the speaker grill. Well, only the rear design was revealed by Evan Blass, but we are sure that in a few days, some more images of the phone will be out. So, stay tuned.